Chicago Private Yacht Rentals, Inc. is always engaging ways to provide our clients with additional convenience and value, and Bitcoin certainly offers both. Chicago Private Yachts Rentals became the first major yacht rental company in the USA to start accepting bitcoins since there announcement in January of 2017. With the current trend of people using Bitcoins, it’s certain that renting a yacht in Chicago using Bitcoins will also trend up. Now, is the time to use the liquidity of your bitcoins. Adeline’s Sea Moose offers a fully crew luxury yacht, dock at Burnham Harbor in Chicago, for parties and all kinds of special events with Bitcoins using any wallet e.g. coinbase, blockchain, etc. Prices are quoted in dollars but there is an option to pay in BTC through the company and presently it appears we’re the only privately owned yacht company in the United States to offer such types of purchases using the virtual currency. 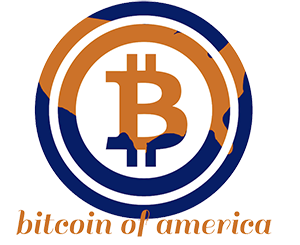 Bitcoin of America is a registered MSB (Money Service Business) and we specialize only in bitcoin transactions. They can accommodate with all your bitcoins needs such as buying and selling anytime from our trading platform. Their platform allows you to buy or sell with us on dated time stamp and volume amount/price making trading very transparent. They specialize in high volume trades at low percentage rates for mainly incoming wires. Bitcoin of America follows all MSB/FINCEN banking compliance policy and procedures giving you confidence knowing that your trade safe and secure. Bitcoin of America only trade with people who they can identify so they do require you to upload your information including your State ID and any other information that might be needed to make them feel comfortable transacting with you. You can also purchase bitcoin from their bitcoin kiosk machines located in the mid-west region in cities like Chicago, Indianapolis, Detroit, Milwaukee and even St. Louis. A Bitcoin of America kiosk mainly specialize in providing you with the open trading hours so you can freely go and buy bitcoins. They also offer other methods such as PayPal and Credit Card for the smaller transaction. Bitcoin — like dollars and euros — is now an option for buying yachts and booking charters. “I fully believe this currency is going to take off, and we’re just one of the first people accepting it,” says Jessica Londono-Sammett, a partner at The Advantaged Yacht Charter & Sales who booked that first bitcoin charter. ¹Excerpt from Yachting Magazine’s Report All Rights Reserved by Yachting Magazine and the author. Crain's reports "Chicago Buys into Bitcoin"
Bitcoin backers have created one of the most volatile, active markets on earth—and Chicago’s trading community wants in. CME Group and Cboe Global Markets—two of the biggest exchanges in the world—each proposed a new bitcoin futures contract in recent months. ¹Excerpt from Crain’s Chicago Business. All Rights Reserved by Crain Communications, Inc. and the author.